The GAO’s high-risk program identifies government operations with vulnerabilities to fraud, waste, abuse and mismanagement, or in need of transformation to address economy, efficiency or effectiveness challenges. The GAO’s report describes the status of high-risk areas and outlines actions necessary to ensure further progress. The GAO notes that since adding this area to its High-Risk List in 2009, it has made 12 recommendations to the U.S. Environmental Protection Agency (EPA) related to the Integrated Risk Information System (IRIS) Program and the Toxic Substances Control Act (TSCA). The GAO has made three recommendations since adding TSCA implementation to its High-Risk List in 2009. To make progress, the EPA will need to implement one open recommendation, along with meeting the high-risk criteria discussed above. The GAO states that the EPA must maintain leadership commitment and ensure it has the resources and plans in place to facilitate progress. The EPA will need, for example, to respond to provisions in the Frank R. Lautenberg Chemical Safety for the 21st Century Act, such as having 20 ongoing risk evaluations by December 2019 and making findings on the safety of all new chemicals. The GAO states the EPA and Congress should consider ensuring resources dedicated to TSCA activities are sufficient to implement the many TSCA reform activities on the EPA’s plate. The latest GAO high-risk report is generally consistent with its prior recommendations concerning actions needed to improve performance under the IRIS Program and TSCA implementation. Several factors contribute to the EPA’s downgrade from “met” to “partially met” regarding the agency’s leadership commitment to the IRIS Program. These include the lack of a restatement of commitment to the IRIS Program by current EPA leadership, an almost 50% decline in the EPA’s budget request for IRIS, and inadequate recent reporting by the EPA on the status of IRIS assessments and changes made. Greater openness and transparency regarding the EPA’s current thinking and approach would be welcome. At the same time, it is unclear if legal requirements for chemical assessments under the TSCA are affecting the EPA’s leadership views on resourcing and prioritizing IRIS assessments. 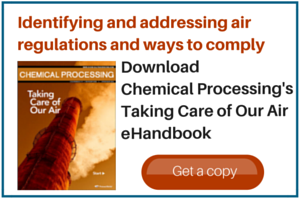 These assessments are of value to many stakeholders, domestically and internationally; they can be a critical input to meeting statutory requirements by other EPA offices. The EPA is not, however, legally required to produce IRIS assessments. This situation thus differs significantly from the new TSCA where the EPA is under considerable pressure to meet statutory deadlines for risk evaluations. Interestingly, the key GAO recommendation pertains to TSCA Section 6 in assessing and regulating existing chemicals. While TSCA Section 6 implementation is a work in progress, the EPA has had to implement and meet the new chemical requirements under the new TSCA Section 5 for almost three years now. We recognize the EPA’s commitment to accelerate the pace of new chemical review and applaud its efforts. It would seem, however, that some greater GAO focus in this area is warranted and future GAO reviews should highlight Section 5 action. Notable for its absence is any mention of TSCA Section 4, the new testing provision that includes new-but-as-yet-untried legal authority to require testing by order. The EPA can’t easily meet its broader obligations under the new TSCA in the absence of an appropriately robust program to obtain the toxicity and exposure information needed to inform EPA’s scientific and assessment judgments on TSCA chemicals. Previous GAO reports focused on the EPA’s limited efforts in implementing Section 4, so the current silence puzzles us.